North Korea’s escalating nuclear provocations are putting putative ally China in an increasing bind, and may be part of a strategy to twist Beijing’s arm into orchestrating direct talks between Pyongyang and Washington, analysts said. The North’s Kim dynasty has repeatedly used nuclear brinkmanship over the years in a push to be taken seriously by the United States but traditionally avoided causing major embarrassment to China, its sole major ally and economic lifeline. 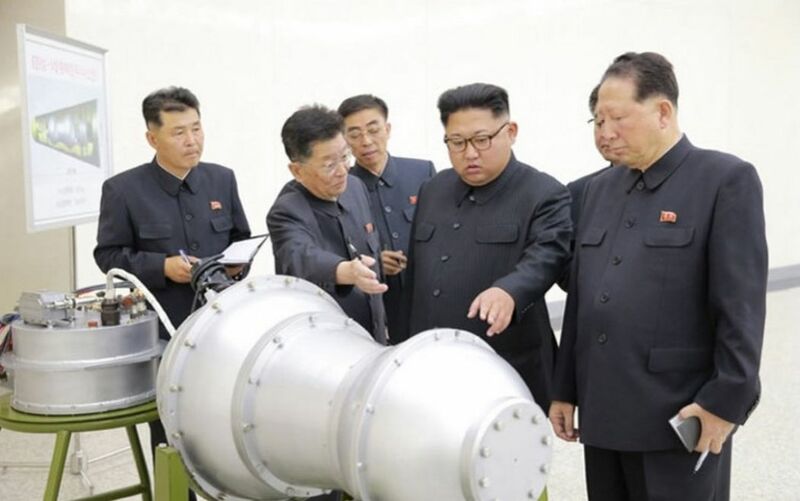 But leader Kim Jong-Un’s detonation Sunday of what he called a hydrogen bomb marked the second time this year that the 33-year-old family scion upstaged Chinese President Xi Jinping just as he was hosting a carefully choreographed international gathering. Communist propaganda deifies Xi as an infallible father figure, but Kim’s actions are puncturing the facade and exposing the Chinese leader’s impotence toward the nuclear crisis on his doorstep. “North Korea’s repeated nuclear and missile tests have put China in a more and more difficult position,” said Shi Yinhong, Director of the Center for American Studies at Renmin University in Beijing. Shi said Kim — who has never met Xi — had become “more and more hostile towards China” after Beijing signed on to tougher new international sanctions against Pyongyang. 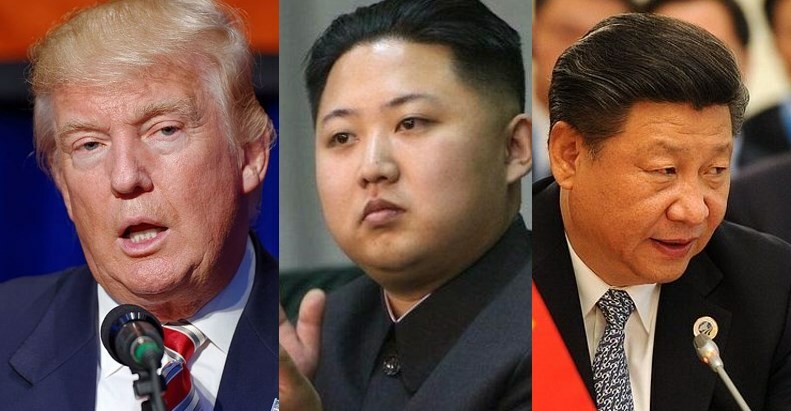 Donald Trump, Kim Jong-un and Xi Jinping. Photo: Wikicommons. 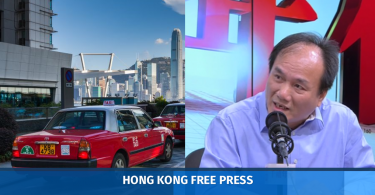 That has apparently made Kim more willing to bring pressure on Xi, said Jean-Pierre Cabestan, a political science professor at Hong Kong Baptist University. Pyongyang’s sixth nuclear test, by far its most powerful to date, came just as leaders of the five BRICS emerging economies — Brazil, Russia, India, China, and South Africa — gathered for a summit. The meeting in the southeastern city of Xiamen was intended to be the typical China-hosted event — micromanaged to the smallest detail to portray Xi at home as a wise and benevolent world leader. But Kim stole the spotlight, just as he did in May when the North conducted a missile test that embarrassed Xi as he hosted a large international summit on trade. Both Pyongyang’s nuclear and missile programmes have been banned by the UN Security Council, and Sunday’s blast dramatically raised the stakes in Kim’s standoff with the world. David Kelly of Beijing-based think tank China Policy said the new sanctions and China’s decision earlier this year to suspend North Korean coal imports — a crucial source of cash — were likely triggers for Pyongyang’s growing belligerence. “The message is: I am not to be messed with,” said Kelly. The pressure comes at an inopportune time for Xi, who next month presides over the ruling Communists’ once-every-five-years party congress, the one-party state’s most consequential political gathering. Xi is expected to decide the party leadership for years to come and consolidate his own grip, and the delicate, stage-managed event is always preceded by months of tightening controls. But the nuclear standoff in increasingly making Xi appear powerless to prevent a deepening crisis next door. He now looks paralysed, with US President Donald Trump criticising China for not doing enough, and North Korea acting increasingly aggressive, analysts said. 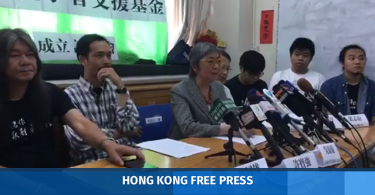 Shi, of Renmin University, said the escalating tensions are “causing a major stir and bring a challenging international situation” into the spotlight just before the congress and at a time when the party is most risk-averse. 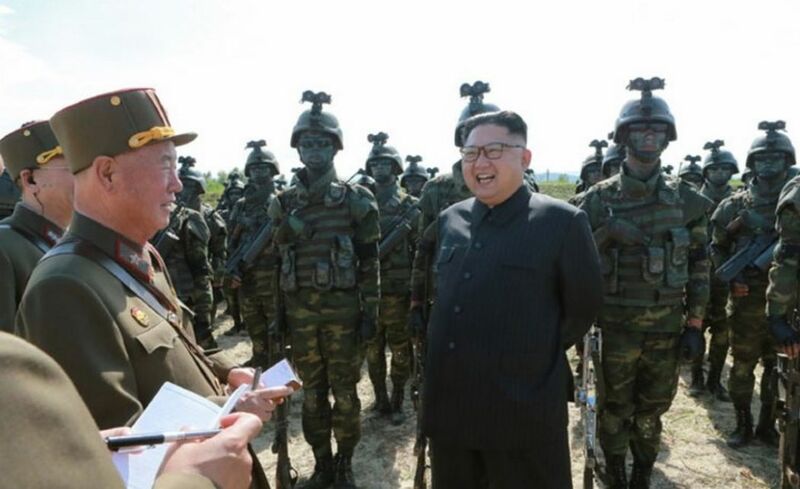 Ultimately, Kim’s true intentions may never be fully known but one thing appears certain: he views his nuclear and missile programmes as vital to protecting his rule, said Shi. “The years have proven that all of the military threats will not change Kim’s determination to develop nuclear weapons, nor block his ability to do so,” he said.